There are several electric scooters on the market, but the Vespa Elettrica is arguably the most important. Why? Well, because is marries all of the chic retro appeal of the firm’s Primavera model with the zero emissions of an electric motor. Too many other electric scooters look like they’re trying too hard to be stylish or green. They end up just looking odd and all but the most eco-conscious riders are prepared to make that sacrifice. After all, scooters are as much about enjoying the ride around town as they are practicality. This is where the Vespa comes into its own as it offers a 62-mile battery range on a single charge. For urban users looking to clean up their commute, this is ideal as you can charge the Elettrica from a domestic socket or an outdoor charging point in around four hours from flat to fully topped up. Vespa also offers an X model that doubles the range of the Elettrica to 124 miles, but this one uses a small petrol engine to charge up the lithium-ion battery pack in the same was range-extender cars do. If you cover more miles in a single day, this is an option, but we suspect the great majority of buyers will stick with the pure electric model. 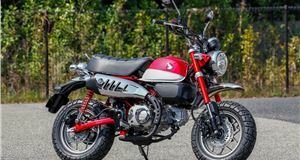 For those that do, they’re treated to a scooter with similar power and performance to most 50cc twist-and-go scooters. With around 2.7PS available continuously and the full 5.4PS when you demand maximum oomph, the Elettrica can hold its own in traffic in the city. 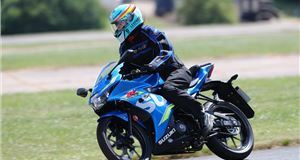 Head on to any faster stretches and its’ soon out of its depth in exactly the same way as a 50cc machine. To help get the most out of the battery’s range, the Elettrica uses regenerative braking to top up the battery’s charge as you slow down. This means you don’t need to use the brakes as much as on a traditional petrol-powered scooter as you effectively have strong engine braking. You can also select an Eco mode that restricts top speed to 18mph, but we see little point in this. As for the rest of the Elettrica’s on-road manners, it’s much the same as the Primavera that it’s based on. So, you can expect a reasonable ride comfort and stable handling, though watch out for larger potholes as the 11-inch wheels can only absorb so much before jolting into and out of such craters that litter our roads. 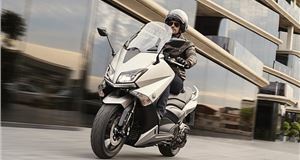 The seat offers an identical level of comfort for rider and passenger to the Primavera and there’s a chromed grab handle for the pillion to hold on to. More interestingly, the Elettrica has a 4.5-inch TFT display screen where you’d normally expect a speedo. This monitor shows speed, but also battery charge, usable remaining range and it can connect to your smartphone via Bluetooth. This lets you make and receive phones calls on the move, though we’re not convinced that’s an aid to road safety. 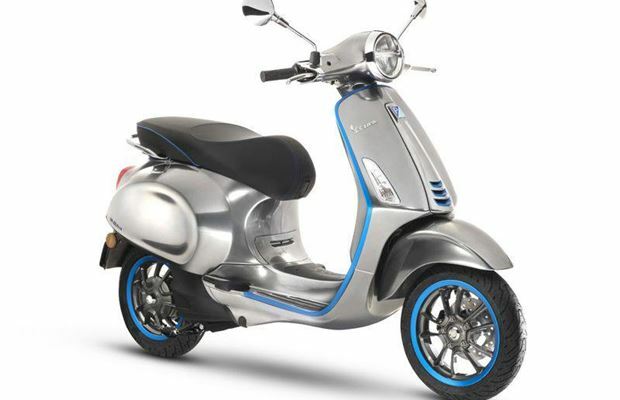 Other technology that comes with the Elettrica is a key-operated bike finder that flashes the indicators so you can find the Vespa in busy bike parks. 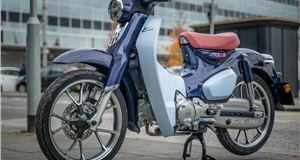 You also get a reverse gear to help move the scooter due to the added weight of the battery pack, though the manufacturer has yet to confirm the kerb weight of this machine. As with other Vespa models, you will be able to choose from a variety of options for the Elettrica, such as a top box to augment the underseat storage that can hold an open-face helmet. There will also be screens and luggage racks, and you can pick from one of seven body colours in the usual bright hues Vespa is noted for. The Elettrica is an appealing prospect for town dwellers. It offers zero tailpipe emissions, so you qualify for free road tax and travel inside London’s Congestion Charge Zone. 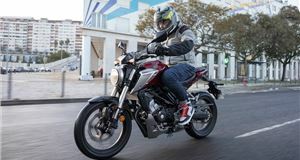 Low-cost recharging overnight will also help offset a list price that is likely to be higher than for a 50cc Primavera that comes in at £3399. For some, it will be worth the extra, but you’ll need to calculate those sums carefully to make sure they stack up in your favour. Performance: Top speed 35mph (est). Fuel consumption 62-mile range. VED £0.